We have some amazingly colourful birds in Australia. And because of the leafiness of many of our suburbs, whole flocks can often be found in residential areas. Finally, a couple of neighbourhood birds that never stay still long enough for me to get a photo of them! 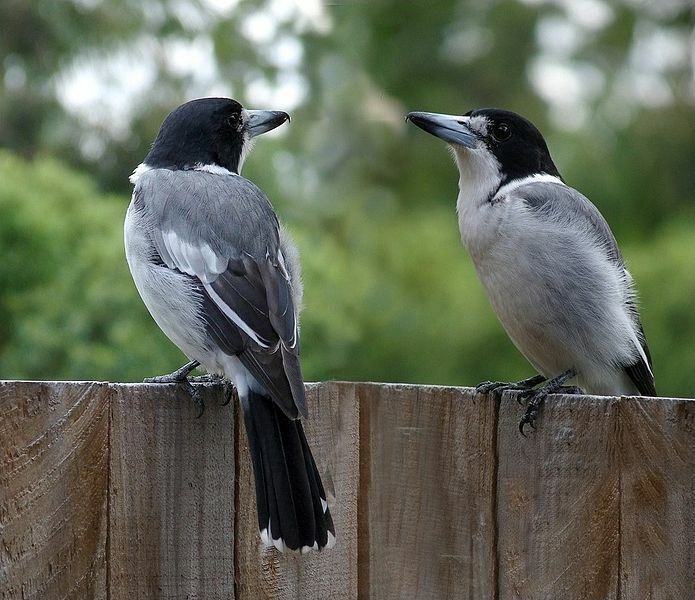 If you’re interested in Australian birds, the Birds in the Backyard website has oodles of information, including a fabulous collection of forty bird calls, mostly taped from around the Sydney area. As I’m sitting here drafting this post at 5.45am, I can hear the noisy miners’ dawn calls! What birds share your neighbourhood with you? There are so many birds around here Mandy, we can usually hear them all calling from outside! Thanks Pat. It’s so mild here in winter that we have birds year round. Enjoyed your post, Celia! Beautiful pictures and that website you mentioned is fascinating–Thankyou! Debby, it’s a great website, isn’t it? We’ve learnt so much from it, particularly the bird calls. Thanks Manuela! Because Australia is so far away from everywhere else, we have a lot of quite distinct native birds. Beautiful birds indeed! Thanks for sharing the bird call link, will come in handy in the future…I’m not very good at identifying English birds, but I do know a sweet little robin when I see one and surprisingly (to me) you do quite often in London. We also have wood pigeons and a pair of crows in our street and occasionally seagulls, although we’re nowhere near the sea (but I love to hear them)! Celia, you’ve captured these photographs so beautifully! I love bird watching and so thank you for the links to those web sites! We have families of wrens and silver eyes nesting in the shrubbery in our garden. And we really enjoyed the wattle birds this year, who visited our flowering flax plants! We, of course, have similar birds around us. We have a trio of Noisy Miners who have roosted each night in the tree off our balcony since they were fledglings a couple of years ago. 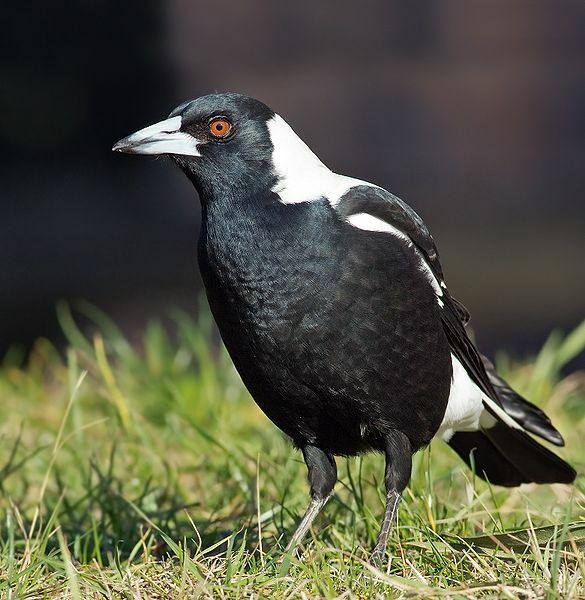 There are also Currawongs, plus Kookaburra’s who are resident at our neighbouring Sydney Park apartments. At Taylors Arm additionally there are King Parrots, Rosellas, a variety of finches and wrens, bowerbirds, native doves and pigeons, and most spectacularly Black Cockatoos who love the villages plentiful tree fodder, particularly peppercorn and macadamia. We hear but rarely see Bird’s of Paradise and owls. As your gorgeous pics and description evidences the birds very much make themselves part of the neighborhood culture. We feel privileged they share it with us, and treat us with such familiarity. There is a reserve behind our backyard and we get all sorts of birds. There are a few resident Kookaburras as well. It appears that we have the noisy miners as well (which I did think were the Indian mynas) who attack our hedge when it is in flower. I’m quite surprised at the diversity of birds found in the average backyard. Lien, we only ever seem to see Kookaburras on holidays! Must be amazing to back onto a reserve! This is a great post, but I hope you’ll say something to your neighbour about feeding the lorikeets white bread. Eeeeek. It makes them sick and often means their babies grow up stunted/unable to fly because they’re not getting the nutrition they need. They should be feed fruit or nectar, not bread or seeds. Your birds are spectacular! We have cardinals, and blue jays, blue birds and woodpeckers, goldfinch and chickadees and robins. All beautiful and backyard- but not like yours. Oh Celia ~ how delightful! This post is a real keeper!! Living right in the middle of a parkland development in the Southern Highlands, nestled into the Thirlmere Lakes National Park, methinks you’ll believe that never ever can I look out of the window or go outside to see all of these and more. Have you ever had the big bright green King Island parrot anywheres near you? The pick of the bunch!! My back door faces onto one of the parks and I have just counted a flock of some 30 sulphur cresteds actually ‘grazing’!! The noisy miners get screamed at by me: here they are terribly bold and a nuisance to all the smaller pets who are terrified of them! But my favourites are the kookaburras: here every day morning and night to eat all the fatty bits we cut off our food! Thanks so much for this terrific pictorial story!! Eha, no nothing like a King Island parrot – it must be amazing where you live! I’m quite fond of the noisy miners, but I don’t like the Indian mynahs at all! Or the ibises – yech, grotty birds. We do get lovely cormorans by the water as well! Aren’t we lucky to have so many magnificent birds. We used to get loads of birds on our balcony in Mosman. i miss them but sometimes they were so noisy! My favourites were the cockatoos and kookburras! The lorikeets , kookaburras and cockatoos are legion around Avalon- but the King Parrots are the best visual treat of all. I must look out for the King Parrots – I don’t think I’ve ever seen one! Thankyou so much for sharing your local birds with us, they are so bouncy and big. I saw parrakeets in London yesterday, shrieking around in Hyde Park in the gloom, bright green. They still don’t ‘fit’ with the landscape here. The red kites too were out, looking for food on and around the motorways, they are big handsome birds. Lovely set of photos darling, particularly like your neighbour’s lorrikeets ! Red kites! 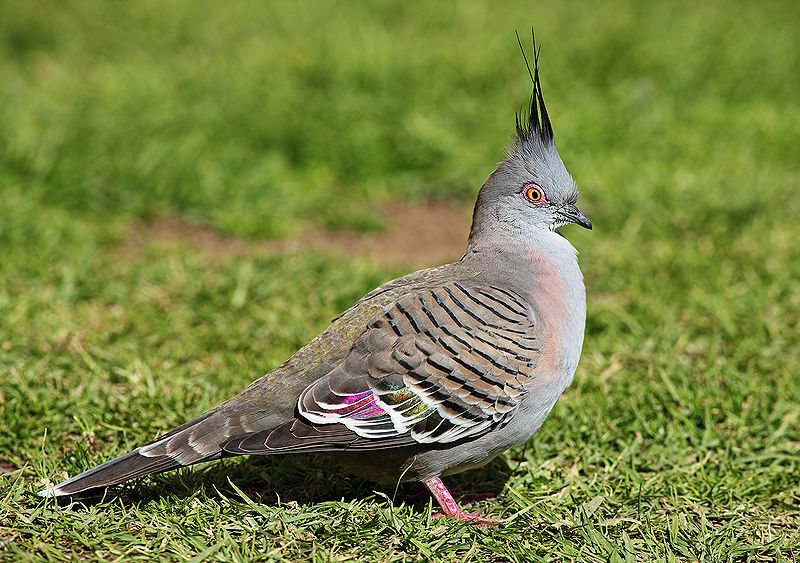 That sent me off to google images – what magnificent birds! I so enjoyed seeing all the photos of birds native to your area. Thank you for sharing them, Celia. Karen, I’m so pleased you liked them. It’s nice to be able to share a bit of our part of the world with you all. What beautiful birds you have there. We don’t get the colorful ones until the summer but during the winter there are plenty of little chickadees out at our feeder. Unfortunately we’ve also had a couple of blue jays right at the crack of dawn waking me up…no, not the calls but from pecking on the side of the house beside my bedroom window! One of the most amazing birds that we have year round are the red headed woodpeckers – you cannot believe what a perfect round hole they can make in a tree. I can’t wait for summer though because then we get our gorgeous & colorful hummingbirds at a feeder I have by the kitchen windows. One is so iridescent that he absolutely glows. Now you’ve got me longing for the warm weather when I can sit on the porch and listen to them all sign. Now that noisy miner bird you mention – is that the same as what’s called a bell bird? When I was there, I visited the Dandenongs & there was a tree filled with birds that I was told were called bell birds – they sounded so beautiful. I have a few photos & some video but haven’t been able to figure out the video with this new Windows 8 garbage. For some reason, I tend to get the males who are so gorgeous in color while my neighbor across the street gets the females. The females all eat together at the station while the males! Yikes, it a war zone out there and the males just don’t share. Sort of like watching a Star Wars with lasers because they really go after each other. Thanks for the info on the bell miners – I just remember standing there listening to this tinkling kind of noise & thinking how that must be what heaven sounds like. Must be something else, Diane! I’ve watched wildlife docos on hummingbirds, and they seem to shimmer and glow when they’re hovering, just amazing! The funnies thing with these hummingbirds is that the feeder is over the deck where the barbeque grill is and my husband will be out there grilling while they’re buzzing all around his head. Not afraid at all. And they’re so curious – if we’re sitting on the porch it’s not unusual to have them hover over someone’s shoulder just looking at what’s going on. Jody, we really are so lucky! I’ve only taken photos of the easy to spot ones, but there are so many others around. I often hear them rather than see them! Love this post, Celia. I remember seeing galahs and a lorikeets when I was in Oz. Here, the most you’ll see is a pair of lorikeets in a cage. It is so remarkable to see these birds in flocks in the wild. I never did see a cockatoo, though I wish I had.